Earn 82 loyalty points, worth £4.10, with this purchase. Water resistant, lightweight polyester ripstop outer. On trend burgundy trims and green pattern colourway for SS19. 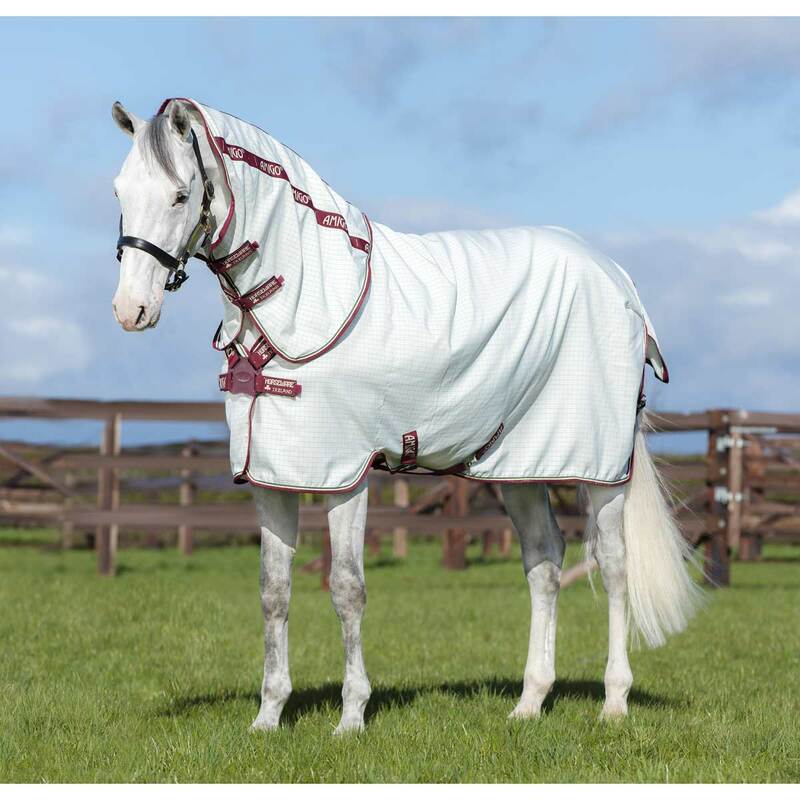 Fabric protects the horse’s coat from UV damage and keeps flies away. Now with Disc-Front closure and Surefit neck design for the ultimate fit and lightweight feel. Front leg arches, cross surcingles, detachable hood & wipe clean tail cord. Sizes : 4' 0" - 7' 3"